The process of urbanization is a dramatic transformation of land from a natural, agricultural, or rural state, into a built environment of human habitat. In a rapidly urbanizing country such as the Republic of Panama, the combined impact of hundreds of independent development projects occurring over the course of a decade can have ecosystem-wide implications greater than the usual site-level impacts that are reasonably managed under local land use regulations. Characterizing, quantifying and modeling ecosystem-wide impacts of urbanization can prove extremely challenging to incorporate into land management policies. Nonetheless, over the past decade, impervious surface area has emerged as a single alternate indicator of the multiple environmental impacts associated with urbanization. Impervious surface area is relatively easy to measure and is highly correlated with a wide variety of environmental impacts imposed by urbanization. Impervious surfaces such as parking lots, sidewalks, curbs, roads, and buildings all contribute to damaging stormwater runoff. 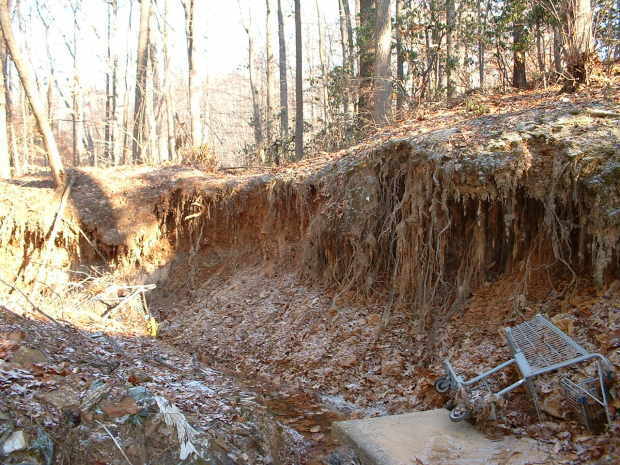 Impervious surfaces are possibly the most chronic and permanent structures created by the human species. According to research published in the June 15, 2004 issue of Eos, the American Geophysical Union newsletter, pavements and other impervious surfaces within the United States cover more than 111.5 billion square meters, an area nearly 1.5 times the size of the Republic of Panama. In addition, another 1 billion square meters are either paved or repaved, within the United States, every single year. An impervious surface is simply defined as a surface that cannot be penetrated by rainwater. A typical example of an impervious surface is asphalt paving, utilized for roads and parking lots throughout the world. 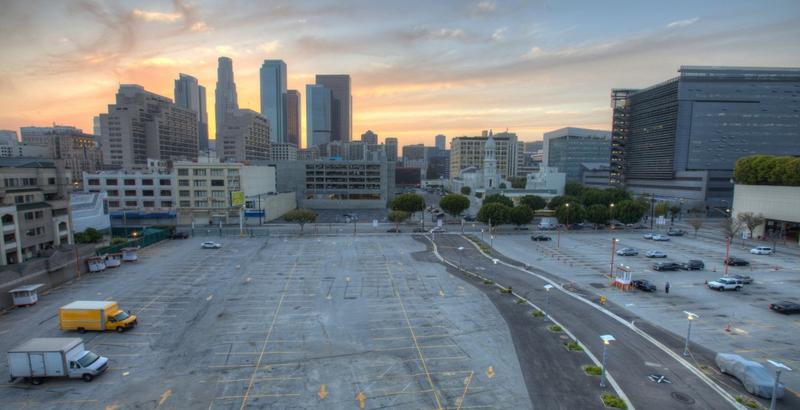 Concrete curbs, walkways, pads and parking structures are also considered impervious surfaces. In addition, routine use of land by humans can also create impervious surfaces, such as dirt paths of highly compressed soil and mismanagement of farmlands and cattle pastures, resulting in poor compacted soil conditions. All of these surfaces have at least one thing in common; water runs off of them and not through them, thereby creating a multitude of environmental, health and financial issues. Under normal conditions, rainwater is absorbed by the soil, where it naturally trickles down into groundwater supplies, recharging them on a continual basis. While the soil may become swollen and moist during a rainfall, flooding is relatively rare, because the natural environment is designed to absorb rainwater from even heavy storms. However, in areas covered by impervious surfaces, the ability to recharge the earth’s much needed groundwater system is being threatened by the reduction of rainwater infiltration into the aquifer. An aquifer is essentially deep groundwater that constantly flows beneath the Earth’s surface. Tapping into an underground aquifer, by drilling or digging a well, is one of the primary sources of freshwater worldwide. Therefore, threats and risks to aquifer resources directly impact billions of people. 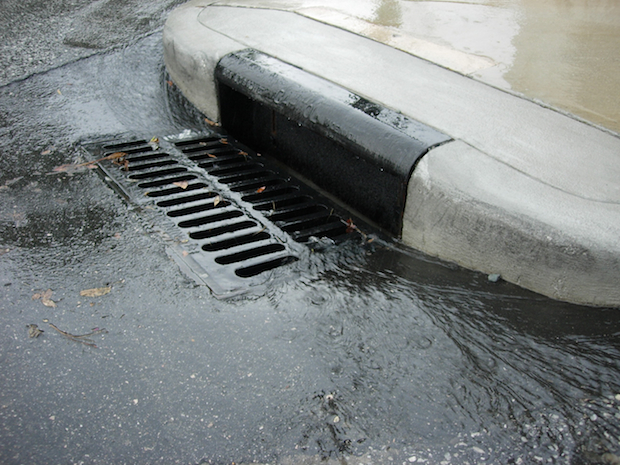 Stormwater runoff and associated pollutants from paved surfaces are directed to local waterways through a system of curbs, gutters, and catch basins. According to the nonprofit Center for Watershed Protection, approximately seventy-percent of the total impervious cover within the United States consists of roads, parking areas, and driveways. This particular type of impervious cover is referred to as “automotive habitats”. These automotive habitats collect particulate matter from the atmosphere, nitrogen oxides from vehicle exhaust, rubber particles from tires, debris from brake systems, phosphates from residential and agricultural fertilizers, and dozens of other pollutants. For example, on a typical paved parking lot, pollutants such as hydrocarbon buildup, bacterial contamination, metals from wearing brake linings, various lubricants, fuels, and spilled antifreeze, can be observed. On an open-graded aggregate (gravel) parking lot, much of the harmful pollutants would leach into the soil beneath the surface, and the community of microorganisms living within the soil would begin a steady breakdown process. Unfortunately, pollutants cannot penetrate an impervious surface, therefore the rapid flow of rainwater runoff from impervious surfaces means these harmful pollutants end up in our precious creeks, rivers, lakes, and oceans, killing marine life and making water unfit for consumption or recreation. 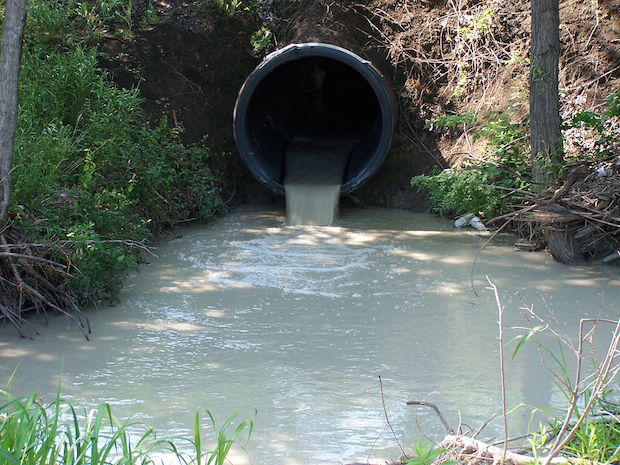 A system of pipes and outfalls discharge the stormwater runoff and pollutants collected into streams and rivers. Impervious surfaces are negatively impacting these precious bodies of water in a multitude of other ways. Velocity of runoff is a primary example, wherein the rainwater runs off of the impervious surface so rapidly, that it creates micro-tsunamis that can cause serious, even irreversible harm to the water ecosystem. In addition, flooding can easily occur when rainwater falls over a developed area. If the rainwater has nowhere to go, water levels can rise radically, even after a small rainstorm. Since runoff from one hectare of impervious surface area is approximately 20 times greater than the runoff from a one hectare of grass area, impervious surfaces can quickly trigger devastating floods that can produce a host of their own environmental health hazards. In urban areas, approximately forty-percent of the rainwater runs directly into the closest body of water in the area, and in heavily urbanized areas it can be more than fifty-percent. By comparison, the amount of rainwater runoff in moderate woodlands is typically less than five-percent. Furthermore, all impervious surfaces collect and emit heat, making the surrounding environment much hotter. Impervious surfaces also inhibit the growth of trees and plants, which contributes further to the development of heat by eliminating shade, while also reducing air quality, as trees and plants normally act like giant scrubbers to remove impurities from the atmosphere. Downstream impacts of this runoff include severe stream bank erosion, loss of stream habitat, and water quality problems, among others. The destructive conditions associated with impervious materials are often compared to those found in a desert and many environmental agencies have advocated for changes in building policies to address these harmful issues. For example, permeable and semi-permeable paving can be used to allow water to return to the Earth more naturally, or floodwaters can be collected in tanks and dispersed in a controlled manner. Such measures would benefit the environment considerably in addition to helping make communities safer by reducing flooding, irreparable ground erosion, and preventing harmful pollutants from entering the valuable water sources that replenish the earth’s underground aquifer. I believe there is great potential for impervious surface regulation to be utilized more directly in the land management process as a powerful planning tool for achieving ecosystem-wide management goals and objectives. Furthermore, impervious surface-based land management can be a direct mechanism for achieving the global smart-growth goals. The real possibility exists for the Republic of Panama to be a test bed for developing a system of land management, based on impervious surface cap and integrated with smart-growth metrics. By implementing a stringent impervious surface reduction plan, we at Globacorp are genuinely doing our part to reduce the impact our communities and operations have on the environment. Through strategic planning and engineering, our community developments will improve the quality of life for everyone, now and for generations to follow. Our latest efforts, Paraiso Del Rio Grande Resort Community, will certainly be one of the most sustainable and green residential developments in the Americas, revitalising over 100 Hectares of previously slash-and-burn land located in Coclé, a central province of The Republic of Panama.